The Chromecast only costs $35, which is a great value for the hardware. That's just the start, though. Google regularly offers promos for Chromecast users such that you might actually make money on the device over time. 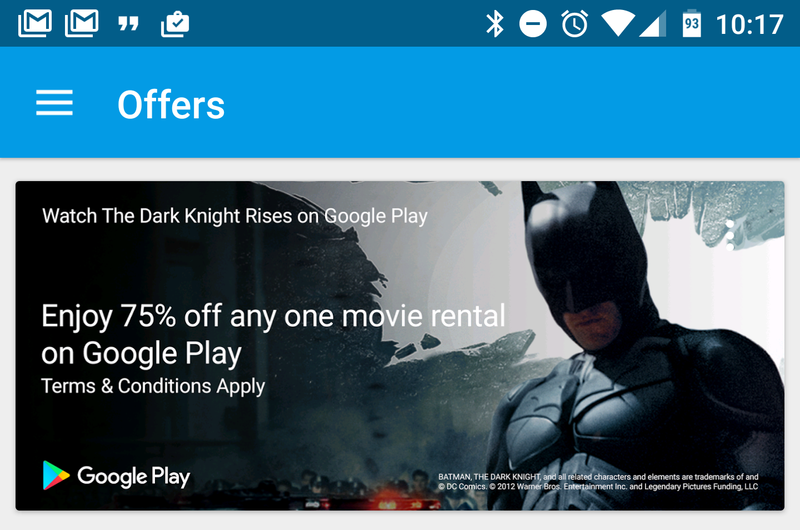 The latest offer is for 75% off any movie rental in the Play Store, but be aware this is US only. Many of Google's Chromecast promos in the past have been for free rentals, but a 75% discount can still be a few bucks on an HD title. This is open to all US Chromecast (not Chromecast Audio) owners through the end of the year, but it's limited to one per account and must be used by January 31st, 2017. You can get the deal by accessing the "Offers" section of the Google Cast app on your phone or by visiting the Cast Offers page in Chrome. You will need to be in range of your Chromecast to redeem.